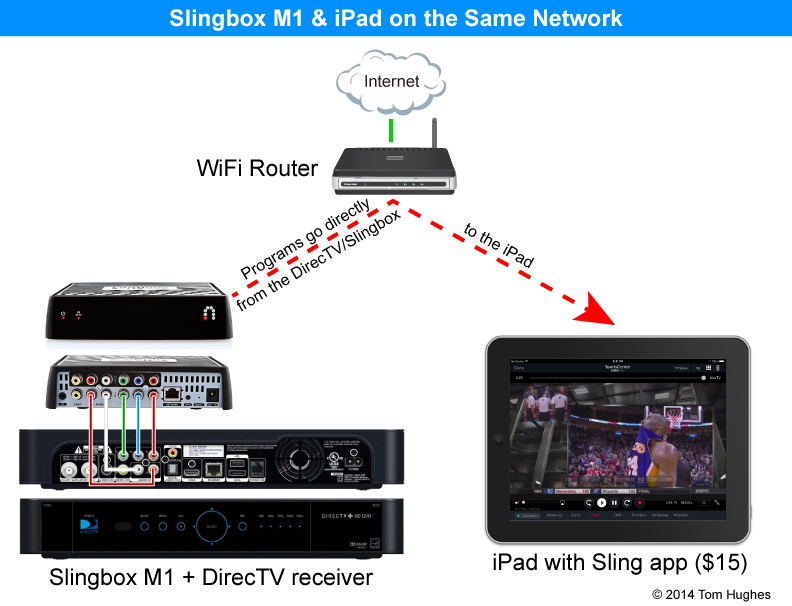 NOTE: The Slingbox M2 has replaced the M1. The M2 is technically identical to the M1, but the M2 Slingplayer apps are now free and no longer cost $15. Also, the M2 costs $50 more than the M1. 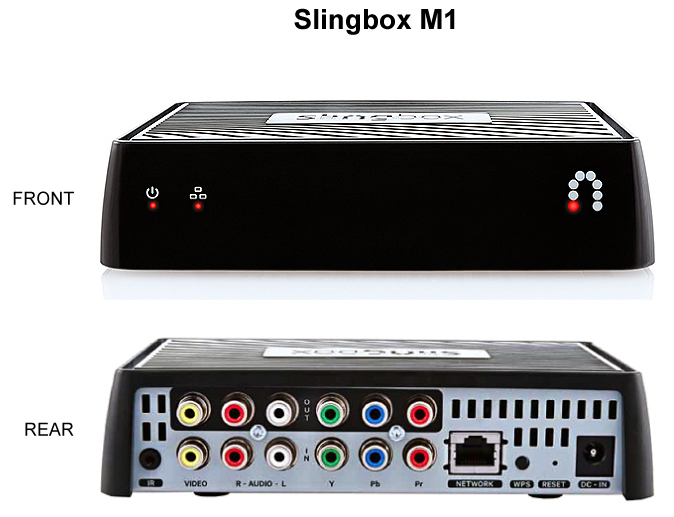 While trying to figure out how my Hopper with Sling worked, I came across Sling Media’s new Slingbox M1. The $150 box is functionally the same as a Hopper with Sling. A Slingbox M1 can connect to a number of different devices, like the DirecTV shown above. 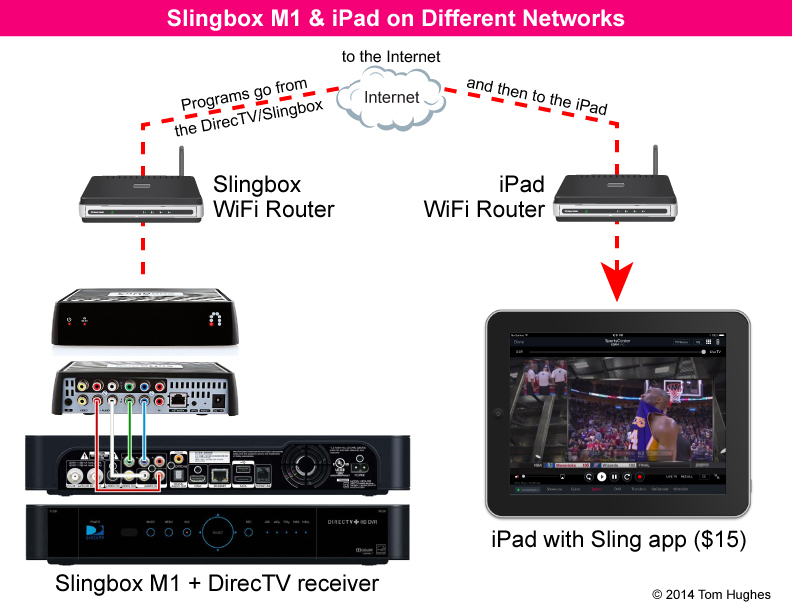 However, unlike the free DISH Anywhere app, the Sling app costs about $15, but the app works with Apple (iPad, iPhone), Android (phone & tablets), and Windows (phone & tablets).